Sarah Palin: EVIL Sacha Baron Cohen Duped Me Into Fake Interview with Disrespect & Hollywoodism!! 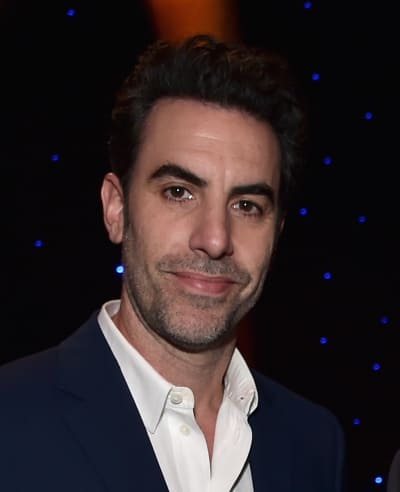 Sacha Baron Cohen is the man behind Borat and therefore the man responsible for the catchphrases of all of your most annoying friends over the past decade. 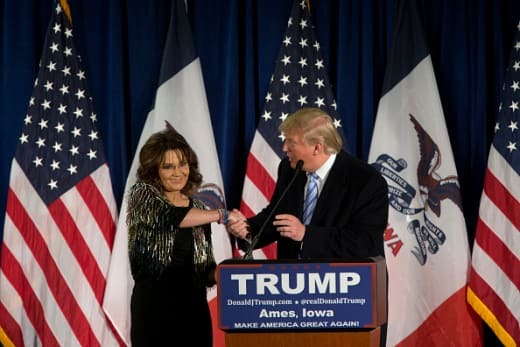 This time, he staged a satirical interview with former Alaska Governor Sarah Palin. Palin, who’s been in enough disastrous interviews to recognize them, caught on, and unleashed a scathing attack on Cohen’s “evil” humor. 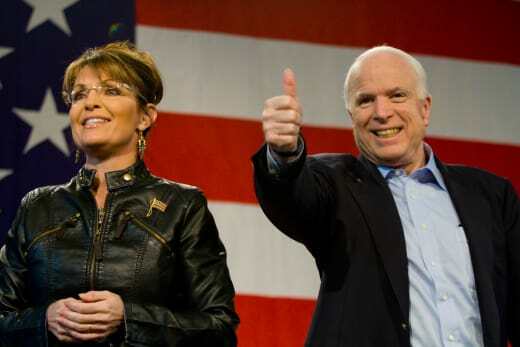 “Yup – we were duped,” Palin’s post begins. Wait, she’s really going with evil for this? This isn’t just a matter of people in glass houses — most people wouldn’t say that a fake interview deserves that label. 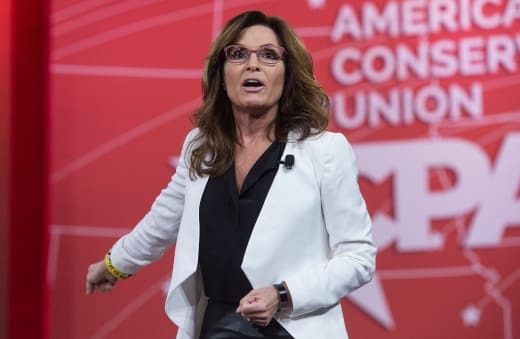 “This ‘legit opportunity’ to honor American Vets and contribute to a ‘legit Showtime historical documentary’ was requested of me via a speakers bureau,” Palin says. Some would suggest that, had the offer been truly legitimate, no one would have asked Sarah Palin to make an appearance. Cohen’s taste has always been questionable, as we’ll explain. “Out of respect for what I was led to believe would be a thoughtful discussion with someone who had served in uniform,” Palin continues. “I sat through a long “interview” full of Hollywoodism’s disrespect and sarcasm,” Palin says. We don’t know what a Hollywoodism is supposed to mean in this context, but we imagine that whatever fans she still has will love the term. His whole schtick is seeing what people will say and how they will react, so, yeah, of course it’s intended to humiliate. We’re not sure how one gauges proceeds from a Showtime series. “Mock politicians and innocent public personalities all you want, if that lets you sleep at night,” Palin allows. 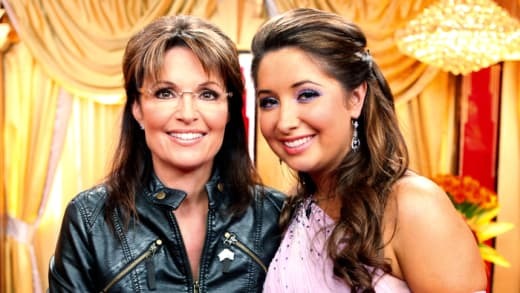 Interesting that Sarah Palin considers either herself or her daughter to be innocent public personalities. “But HOW DARE YOU mock those who have fought and served our country? !” Palin asks. That’s quite the accusation — of downright maliciousness. “After refusing to take our calls to help get us out of the bind they’d put us in for three days,” Palin describes. Palin has been frustrated with media and entertainment ever since they asked her questions about government policies in interviews while she was McCain’s running mate. “Feel good and manly about your M.O., Sacha?” Palin asks. In Palin’s world, of course, demonstrating masculinity is prized, so she assumes that Sacha Baron Cohen is preoccupied with a desire to feel manly. “By the way, my daughter thinks you’re a piece of ****, Sacha.” Palin says. Her daughter, Bristol, thinks a lot of things about a lot of people. She also blogs about it. Note that by saying every honorable American vet, she brings the No True Scottsman paradox into play. So the inevitable I’m a vet and I’m thrilled that she got played responses can be countered with ah, then you’re not an honorable one. Sarah Palin is no one’s favorite person, but Sacha Baron Cohen can be controversial himself. The arguments to defend him are that he does what he does to elicit genuine responses from people, to see what they will say with the right prompting. But his work often relies upon shock value, the perpetuation of horrific racist stereotypes, and crude jokes. Sarah Palin just gave Cohen’s work, which includes a series of interviews with some very famous politicians on both sides of the aisle, better publicity than anyone could have imagined. We don’t normally advocate doing nice things for Sarah Palin, but perhaps Showtime should send her a fruit basket. Previous story Kylie Jenner: Officially the World’s Youngest Billionaire? !